Last updated on: 21 May 2018. Lucie Šafářová (Czech pronunciation: [ˈlutsɪjɛ ˈʃafaːr̝ovaː]; born 4 February 1987) is a Czech professional tennis player from Brno. She has won seven WTA Tour singles titles and fifteen doubles titles. She reached her first Grand Slam quarterfinal at the 2007 Australian Open, upsetting defending champion Amélie Mauresmo in the fourth round, her first Grand Slam semifinal at the 2014 Wimbledon Championships and her first Grand Slam final at the 2015 French Open. She also won the 2015 Australian Open, 2015 French Open, 2016 US Open, 2017 Australian Open and 2017 French Open women's doubles titles partnering with Bethanie Mattek-Sands. Šafářová plays left-handed with a two-handed backhand and possesses a high topspin forehand. Her timing off the ground allows her to project groundstrokes with power, and she is quick to spot opportunities to take the initiative. Šafářová is notorious for having a volatile return that is capable of hitting clean winners, as well as unforced errors. Her preferred surface is clay. She was coached by Rob Steckley until September 2016 when she split with him, ending a coaching relationship of more than three and a half years, and hired František Čermák. In December 2017, Safarova announced that she is reuniting with Rob Steckley for the 2018 season. Šafářová won her first WTA Tour event in May 2005 at the Estoril Open in Portugal, where she defeated 4th-seeded Li Na in a three-sets final. In June she lost the final of the Rosmalen grass court tournament to fellow Czech Klára Koukalová in three sets. She won her second tournament at the Forest Hills Tennis Classic in August, which was played at the historic West Side Tennis Club, after a victory in the final against Sania Mirza. Šafářová started off 2006 by upsetting world No. 6 Patty Schnyder in the semifinals of the Gold Coast tournament and then winning in the final with a straight-set victory. Also in 2006, she made her first Tier II semifinal at Amelia Island, where she upset Nicole Vaidišová in the round of 16. She later lost to eventual champion Nadia Petrova. She then made another semifinal at the Tier-IV tournament at Palermo, where she was defeated by Anabel Medina Garrigues. At the start of 2007, Šafářová elected to represent the Czech Republic in the Hopman Cup instead of defending her Gold Coast title. Due to not defending the points at that tournament, she came into the first Grand Slam of the year ranked No. 70 and unseeded. Yet she made headlines at the Australian Open, when she stunned the defending champion and No. 2 seed Amélie Mauresmo in the fourth round. She then lost to fellow Czech Nicole Vaidišová in the quarterfinals. After the Australian Open, her ranking rose from No. 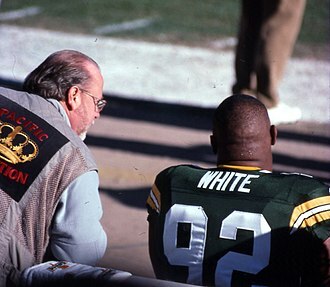 70 to 31. Šafářová continued her good start to 2007 at the Open Gaz de France in Paris. She reached the final by defeating Tsvetana Pironkova in three sets and Nicole Vaidišová, Svetlana Kuznetsova, and Justine Henin, all in straight sets. However, she lost the final against Nadia Petrova in three sets. She pulled out of her next event in Antwerp due to a shoulder injury. Šafářová lost in round three of both Indian Wells and Miami to Shahar Pe'er and Serena Williams, respectively. She defeated Daniela Hantuchová in the Czech Republic vs. Slovak Republic Fed Cup encounter. She then lost in the semifinals of the Tier IV Estoril tournament to Victoria Azarenka. At Roland Garros, Šafářová defeated Mauresmo in the third round in straight sets. It was the second time in a row that she had beaten Mauresmo in a Grand Slam after winning their only previous encounter in January at the Australian Open. In the next round, she lost in three sets to Anna Chakvetadze. As the 25th seed at Wimbledon, she defeated Zuzana Ondrášková followed by a win over Eleni Daniilidou in three sets. However, in the third round, she lost to world No. 3 Jelena Janković in three sets after coming within two points of another Grand Slam upset. The match was described as the best WTA match of 2007 up to that point and the best women's Wimbledon match in many years. Šafářová entered the US Open as the 20th seed. She defeated Jessica Moore in the first round and Andrea Petkovic in the second round. She fell to Marion Bartoli in the third round. In 2007, she advanced to the third round or better in all four Grand Slams including the quarterfinals of the Australian Open, which was the best Grand Slam result at that point of her career. At the beginning of 2008, Šafářová again decided to enter the Hopman Cup in Perth. She was ranked No. 23 and took on world No. 56 Alicia Molik of Australia. She lost the match followed by a loss with her partner on and off the court, Tomáš Berdych, in mixed doubles. Against the United States, she lost to Serena Williams in three sets. Šafářová and Berdych lost the first set of the mixed doubles and then retired from the match due to Berdych's health concerns. The Czechs closed the Cup by defeating India 2-1. Šafářová won her singles match against Sania Mirza in three sets. After Berdych also won his singles match and clinched the victory, Šafářová and Berdych lost the mixed-doubles match. Šafářová's second competition of the year was the Sydney Medibank International. In the first round, she faced Alicia Molik. Šafářová won in two tiebreaks. Both players had set points and match points throughout the tiebreaker, but Šafářová was able to come out on top. She subsequently pulled out of the second round against world No. 1, Justine Henin. Šafářová entered the Australian Open as the 22nd seed. In the first round, she faced Catalina Castaño of Colombia and lost in 71 minutes. Later, it was revealed that a gluteal strain was plaguing her during the match. She sustained the injury during her first round encounter against Molik at the Medibank International. Competing at the Pacific Life Open in the United States, Šafářová, seeded 26th, lost in three sets in the second round to Ashley Harkleroad. Following that, Šafářová played the Sony Ericcson Open, where she lost to fourth seed Jelena Janković. At the Summer Olympics, Šafářová competed in both singles and women's doubles. She reached the third round of the singles by beating Maret Ani and Mariya Koryttseva before losing to Sybille Bammer. In the women's doubles, she and partner Petra Kvitová were knocked out in the first round. She followed the Olympics by winning the Forest Hills Tennis Classic for the second time. She became the first and only player to win the Classic more than once as 2008 was the last edition of the tournament. Šafářová began the year with a quarterfinal showing at the international hard court event in Brisbane. She defeated the Australians Isabella Holland and Samantha Stosur before being defeated by second-seeded Victoria Azarenka of Belarus. After failing to qualify for the premier event in Sydney, she reached the third round of the Australian Open by defeating Sybille Bammer and Marina Erakovic before losing to Marion Bartoli in three sets. She did not advance past the second round in any of the other Grand Slam tournaments in 2009. Šafářová started the 2010 season by reaching the quarterfinals of the Brisbane International, where she lost to eventual champion Kim Clijsters. She then suffered first round losses at the Hobart International, where she retired against Kateryna Bondarenko in the third set, and the Australian Open, where she lost to sixth seed Venus Williams. She made her first final of the year at the Open GdF Suez in Paris by defeating Flavia Pennetta in the semifinals. In the final, she won the first set, but could not hold on and fell in three sets to top seed Elena Dementieva. In her next two tournaments, she then suffered two more first round losses. First, at the Monterrey Open, she lost to Julie Coin. Then at the BNP Paribas Open at Indian Wells, she lost to Julia Görges. At the Sony Ericsson Open, she was unseeded. She won her first round match against Kaia Kanepi and then defeated María José Martínez Sánchez in the second round in three sets, after being down match points at 5–2 in the second set. She then fell to fourth seed Victoria Azarenka. At the Porsche Tennis Grand Prix, Šafářová upset world No. 2 and top-seed Caroline Wozniacki in the second round. She then fell in three sets to qualifier Anna Lapushchenkova in the quarterfinals. At the Internazionali BNL d'Italia, she upset world No. 9 Agnieszka Radwańska in the third round, but lost to eventual champion María José Martínez Sánchez in straight sets in the quarterfinals. At the Mutua Madrileña Madrid Open, she upset world No. 12 Maria Sharapova in the first round. She then defeated Olga Govortsova and Alexandra Dulgheru to advance to the quarterfinals, where she beat world No. 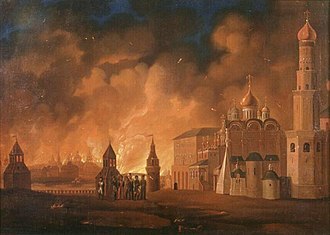 18 Nadia Petrova. She retired due to a thigh injury while trailing Aravane Rezaï by a set in the semifinals. At the French Open, she was seeded 24th. She defeated Jelena Dokić in the first round, but was defeated by Polona Hercog in the second round. The French Open would be her best singles result at a Grand Slam in 2010 as she lost in the first round at both Wimbledon and the US Open. Šafářová began the year at the Brisbane International where she made it to the quarterfinals after tough matches against Akgul Amanmuradova and Shahar Pe'er where she lost to Anastasia Pavlyuchenkova in three sets. As the 31st seed at the Australian Open, she struggled through her first two rounds, but defeated Zhang Shuai and Klára Zakopalová, respectively. In the third round, she lost in two sets to world No. 2, Vera Zvonareva, despite having had a set point in the second set. Following the Australian Open, Šafářová defeated Daniela Hantuchová of Slovakia in the 2011 Fed Cup, but retired in her second rubber against Jana Čepelová. Her next tournament was the Open GDF Suez, where she fell to a resurgent Jelena Dokić in the first round. A week later at the Dubai Tennis Championships, she again exited in the first round by losing to Klára Zakopalová. Her performance at the Qatar Ladies Open was more positive, as she defeated world No. 10 Agnieszka Radwańska in two sets, before losing in three sets in the second round to Flavia Pennetta. She had her best result in 2011 at the Malaysian Open, where she reached the final against an in-form Jelena Dokić. She held two championship points in the second-set tiebreaker, but was unable to convert either chance and succumbed in three sets. She reached the second round in Indian Wells by beating Kristina Barrois, while serving a WTA season-high 18 aces, before losing a close match to 21st seed Andrea Petkovic. The following week as the 31st seed, she had a bye in round one of the Miami Masters. She then defeated Patty Schnyder and lost to 4th seed Sam Stosur. Šafářová was forced to pull out of the Czech Fed Cup tie against Belgium the following week due to a left thigh problem. She attempted to play at Stuttgart, but lost to Barrois. She pulled out of Barcelona with the same leg injury. Her next tournament was the Premier Madrid event. She defeated Spanish player Anabel Medina Garrigues by coming back from match point down in the third set. She followed this victory with a three-set win over seventh seed Jelena Janković in round two and a two-set win over Jarmila Gajdošová in round three. These victories meant that for the second consecutive year, she had made the quarterfinals in Madrid. In the quarterfinals, she lost a hard-fought match to fourth seed Victoria Azarenka in three sets. In Rome the following week, she began with a win over Kimiko Date-Krumm. In the second round, she fell to Jelena Janković. Unseeded at the French Open, Šafářová opened with an easy win over Kirsten Flipkens. In round two, she was up a set and a break against 17th seeded German Julia Görges, but eventually succumbed in three sets. In the doubles event, she and Michaëlla Krajicek opened with a win over Miami champions Radwańska and Hantuchová, and then defeated Pauline Parmentier and Kristina Mladenovic before falling to fifth-seeded Madrid Champions Victoria Azarenka and Maria Kirilenko. Reaching the third round marked her best doubles result at the French Open up to that point in her career. As the 4th seed in Copenhagen, Šafářová made a series of tough three-set wins by never winning the first set. However, after beating Johanna Konta, Michaëlla Krajicek, Zhang Shuai, and Petra Martić (after trailing by a set and 4–0), she lost the final to home favourite and world No. 1 Caroline Wozniacki. She then traveled to Eastbourne, where she lost in the opening round to eventual champion Marion Bartoli despite holding a match point. At Wimbledon, Šafářová was seeded 31st. She defeated fellow Czech Lucie Hradecká in the first round 2–6, 6–3, 6–3. This victory was her first win at Wimbledon since 2007. She was defeated by another Czech, Klára Zakopalová, in the second round 6–0, 6–7(3), 6–4. She next played on clay in Båstad, but was taken out by Vesna Dolonc in straight sets in the first round. She then pulled out of tournaments in Baku and San Diego before returning to the tour in Toronto. Following wins over Polona Hercog and Simona Halep, she took out 8th seeded Francesca Schiavone to reach her second Toronto quarterfinal. She lost this match to eventual champion Serena Williams in three sets. In Cincinnati the following week, she defeated Klára Zakopalová in the first round, but lost her second round match to the fifth seed, Li Na. 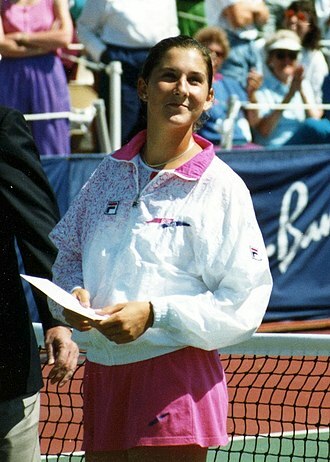 Seeded 27th at the US Open, Šafářová began by defeating Magdaléna Rybáriková. The victory was her first US Open win since 2007. She then defeated wildcard Madison Keys before a disappointing third round loss to Monica Niculescu. In Quebec City the week following the US Open, she lost in round two to Andrea Hlaváčková as the second seed. After taking a small break, she re-entered the tour in Beijing, but lost in the first round to Petkovic. She followed this tournament up with a semifinal appearance in Linz, Austria, where she lost to Dominika Cibulková. The following week in the premier Moscow event, she took out second-seed Agnieszka Radwańska in round two before losing to Kaia Kanepi in the semifinals in three sets. To finish the year, Šafářová was a part of the Czech Fed Cup team that had qualified for the final against Russia. Despite losing both her matches to the higher-ranked Svetlana Kuznetsova and Anastasia Pavlyuchenkova, she and the Czech team won 3–2 to win their first championship as the Czech Republic (Czechoslovakia had previously won five Fed Cup titles). Šafářová reached the quarterfinals in Sydney, but lost to Li Na in two sets. She was taken out in the first round of the Australian Open by Christina McHale. On 23 March 2012 at the Miami Masters, she lost to Heather Watson of Great Britain in a match lasting one hour, 20 minutes. The young British player was ranked No. 129 in the world. At the 2012 Summer Olympics, Šafářová competed in the women's singles and the women's doubles, but lost in the first round of both competitions. She reached the semifinals of the Rogers Cup in Montreal, where she lost to Li Na in three sets. With this result, she was ranked well within the top 20 for the first time in her career. In 2012, she also helped the Czech team defend its Fed Cup title. She won both her singles matches against Ana Ivanovic and Jelena Janković in the final against Serbia. Her victory against Janković clinched a 3–1 victory for the Czechs. In 2013, Šafářová did not advance past the second round at any of the Grand Slams in singles. She was more successful in doubles. Partnering with Anastasia Pavlyuchenkova, they reached the quarterfinals at both the Australian Open and the French Open. The week following the US Open, Šafářová won her fifth WTA singles title at the Challenge Bell. Šafářová had a match point in the third round of the Australian Open against Li Na, but was eventually beaten in three sets as Li went on to win her second major title. At the Sony Open, she lost in three tight sets to Maria Sharapova in the third round. She would go on to lose to Sharapova again in the first round of the Porsche Tennis Grand Prix. At Roland Garros, she was the 23rd seed and defeated the in-form Ana Ivanovic in the third round, but lost in the next round to Svetlana Kuznetsova in straight sets. At Wimbledon, she reached her first ever Grand Slam semifinal, where she lost in two sets to fellow Czech Petra Kvitová. In November Šafárová was a part of the Czech Fed Cup team that played the final against Germany. In front of the home crowd at the O2 Arena in Prague, she won her singles match against Angelique Kerber in straight sets, which contributed to a 3–1 victory for the Czech team. Šafářová had a slow start to the year with a first round loss at the Apia International Sydney to Samantha Stosur. At the Australian Open, she suffered another first-round exit to Yaroslava Shvedova. Despite the early loss in singles, she rebounded by capturing her first Grand Slam title in doubles. Partnering with American Bethanie Mattek-Sands, they defeated the 14th seeded team of Chan Yung-jan and Zheng Jie. Šafářová then played at the Diamond Games and lost in the quarterfinals to fellow countrywoman Karolína Plíšková. She next traveled to Dubai where she made it to the quarterfinals by upsetting defending champion Venus Williams along the way. However, in the quarterfinals she lost again to Plíšková. At the Qatar Total Open, she defeated former Grand Slam champion Samantha Stosur, 5th seed Ekaterina Makarova, 6th seed Andrea Petkovic, and 9th seed Carla Suárez Navarro en route to her first final in over a year. In the final she defeated former No. 1 Victoria Azarenka in straight sets to win her first WTA Premier tournaments title. She then lost early at both the Indian Wells Masters and the Miami Open to Elina Svitolina and Johanna Larsson, respectively. Next, she played for the Czech Republic in the semifinals against France at the Fed Cup, where she beat Caroline Garcia in three sets after saving five match points. The Czech Republic would go on to win the tie to advance to the finals for the fourth time in five years. Šafářová began her clay season in Stuttgart where she lost in the second round to eventual finalist Caroline Wozniacki in straight sets, but she would go on to win the doubles title with Mattek-Sands. She then played at the Prague Open and lost in the first round to Tereza Smitková. Next, she played at the Madrid Open and made it to the quarterfinals, where she lost to eventual finalist Svetlana Kuznetsova in three sets. In that match, she had been up 5–2 in the second set tiebreak and also failed to convert two match points on her own serve in the third set. She then lost in the second round at the Italian Open to Alexandra Dulgheru in three sets. Šafářová started her French Open singles campaign by defeating long time friend Anastasia Pavlyuchenkova in two tiebreakers. She went on to defeat Kurumi Nara and 20th seed Sabine Lisicki, which set up a clash with the defending champion Maria Sharapova in the fourth round. She won the match in straight sets. It was Sharapova's earliest French Open loss since 2010. In the quarterfinals, she played the 21st seed Garbiñe Muguruza and won in straight sets to advance to her second semifinal in a Grand Slam. With her quarterfinal win, she secured her place in the top 10. She then defeated former champion Ana Ivanovic in two tight sets to advance to her first ever Grand Slam final, which she lost to Serena Williams in three sets. In doubles she and Mattek-Sands claimed their second Grand Slam title of the year by beating Yaroslava Shvedova and Casey Dellacqua in three sets in the final. With this win she moved up to No. 5 in doubles. Šafářová began the grass court season by playing in Aegon International. However, she lost her first match to Dominika Cibulková in straight sets. Next, she played at the Wimbledon Championships. She reached the fourth round, but was then defeated by unseeded Coco Vandeweghe in two tiebreakers. In the North American hard court season, Šafářová participated in the Rogers Cup, but lost in the second round to Daria Gavrilova after receiving a first round bye. This loss occurred despite having a 6–4, 5–5, 30–0 lead on her serve. She then reached the quarterfinals of the Cincinnati Open, where she lost to Elina Svitolina in three sets. She reached the final of the Connecticut Open, but lost to defending champion and compatriot Petra Kvitová. She then lost in the first round of the US Open to Lesia Tsurenko in straight sets. The rest of Šafářová's season was blighted by a bacterial infection which hospitalized her. As a result, she was unable to play for most of the autumn and early winter. However, she managed to play in the Linz Open and the Moscow Open, but she lost her opening matches in both tournaments. Since Serena Williams withdrew from the tournament, Šafářová was able to play the WTA Finals for the first time in her career. She failed to advance to the semifinals as she lost to Garbine Muguruza and Petra Kvitová in round robin matches, but she did get a win by beating eventual world No. 1 and 2 time Grand Slam Champion Angelique Kerber in straight sets to finish the round with a record of 1–2. She closed the year once again in the Fed Cup Finals, where the Czech Republic won their fourth title in five years. However, she was not chosen to play in any of the matches. Šafářová skipped the whole Australian Open Series, including the Australian Open and thus failing to defend her doubles title, due to the same bacterial infection which hospitalized her at the end of 2015. She returned to tennis at the Qatar Total Open, where she was the defending champion. However, she lost to Turkish wildcard Çağla Büyükakçay. In Indian Wells, Šafářová lost to Yaroslava Shvedova in the second round after receiving a bye as the 11th seed. Šafářová then partnered Ekaterina Makarova in doubles as the 5th seed, but they lost to Andreja Klepač and Katarina Srebotnik in the first round. As the 11th seed in the Miami Open, Šafářová received a bye into the second round where she faced Belgian Yanina Wickmayer. However, she lost the match in straight sets. For doubles, Šafářová partnered with her usual partner Bethanie Mattek-Sands for their first tournament together in 2016. They defeated Sloane Stephens and Madison Keys and then Daria Kasatkina Elena Vesnina to set up a blockbuster meeting with Australian Open finalists Andrea Hlaváčková and Lucie Hradecká, who are known as "The Silent-Hs". Mattek-Sands and Šafářová prevailed in straight sets, and dominated Chinese pairing Xu Yifan and Zheng Saisai in the semifinals. They then defeated the fourth seeds Tímea Babos and Yaroslava Shvedova in the final, winning their first title together of the year. Šafářová's next tournament was the Charleston Open. As the 4th seed in singles, she lost to Louisa Chirico in her opening singles match after receiving a first round bye. Top-seeded in doubles, Šafářová and Mattek-Sands proceeded to the final after winning all their matches in straight sets, but then lost to Caroline Garcia and Kristina Mladenovic. Next, she played in the Stuttgart Open and lost in the first round to Karolína Plíšková. Šafářová turned her season around by winning her seventh career title at the Prague Open. She won her first singles match of the year in the first round against Duque Marino, whom she beat in three sets 3–6, 6–3, 6–3. She followed this result up with a second-round win over compatriot Lucie Hradecká 6–4, 2–0 (ret.). In the quarterfinal she beat Hsieh Su-wei in straight sets 7–6, 7–5. In the semifinals she avenged her Stuttgart defeat to compatriot Karolína Plíšková by beating her in straight sets 6–4 7–6. In the final she delighted a home crowd by coming from a set down to beat grand slam champion Samantha Stosur 3–6, 6–1, 6–4. This result ended her title drought of more than a year since her Doha win. Next, she played in the Madrid Open. She defeated CoCo Vandeweghe in the first round, but withdrew from the tournament, both from singles and doubles due to gastrointestinal illness. At the Summer Olympics in Rio, she won her first-round singles match, but retired in her second round match after losing the first set. However, she recovered in time for doubles and on 13 August 2016, she won her first ever Olympic medal, which was a bronze with her partner Barbora Strýcová. At the US Open, Šafářová was unseeded in singles. She won in the first round against Daria Gavrilova, but lost in the second round to 5th seed Simona Halep. In doubles, she teamed once again with Mattek-Sands. They were seeded 12th and would go on to win their third Grand Slam title together. In the semifinals they defeated the 5th seeded Russian team of Makarova and Vesnina, who had just defeated Mattek-Sands and Šafářová the month before in the semifinals of the Olympics and gone on to win the gold medal. In the final, Mattek-Sands and Šafářová defeated the French team of Garcia and Mladenovic, who had won the French Open earlier in the year. Šafářová and Mattek-Sands would team up to win two more tournaments in 2016, Wuhan and Beijing. Their performance during the season qualified them for the WTA Finals, where they made the finals, but lost to Makarova and Vesnina. Šafářová ended the year ranked 6th in doubles. In Hobart, Šafářová defeated Viktorija Golubic in the first round, but then she lost to qualifier Risa Ozaki. At the Australian Open, Šafářová defeated Yanina Wickmayer in the first round, after defending nine match points. In the second round, she lost to eventual champion Serena Williams. In doubles, Šafářová and Mattek-Sands won their fourth Grand Slam title, defeating Andrea Hlaváčková and Peng Shuai in the final. Šafářová reached the semifinals in Taipei, where she lost to Peng. She played for the Czech Republic in the Fed Cup quarterfinals against Spain in a dead rubber alongside Kateřina Siniaková. They lost to María José Martínez Sánchez and Sara Sorribes Tormo. In Budapest, Šafářová lost in the final to Tímea Babos. These two players were the two top seeds of the tournament. They also partnered in doubles, where they withdrew before the semifinal match. Šafářová and Mattek-Sands would continue their doubles success in the spring. They won at Charleston and then won another Grand Slam title at the French Open. Šafářová would not have as much success in singles during this time. She lost in the first round at the French and then in the second round at Wimbledon. Also at Wimbledon, Mattek-Sands injured her knee in a singles match causing the duo to withdraw from the tournament after winning a first round match. At the US Open, Šafářová defeated Anett Kontaveit, Nao Hibino and Kurumi Nara, before losing to CoCo Vandeweghe in the fourth round. In Montreal, Šafářová lost in second round to Julia Görges. In doubles she played with Bethanie Mattek-Sands, they lost in the first round to Ashleigh Barty and Demi Schuurs. Šafářová speaks three languages: Czech, German and English. She was in a relationship with fellow Czech tennis player Tomáš Berdych until they broke up in 2011. ^ a b c "Lucie Safarova". wtatennis.com. Retrieved 29 June 2014. ^ a b c Matt Cronin (1 March 2015). "Safarova credits improvement to consistency, maturity". Tennis.com. ^ Stephanie Myles (30 January 2015). "Canadian Rob Steckley coaches Lucie Safarova to the Australian Open women's doubles title". Yahoo Canada. ^ "Qualifier Safarova lands Estoril title". Eurosport. 1 May 2005. ^ a b c d "Lucie Šafářová Bio, Stats, and Results". Olympics at Sports-Reference.com. Retrieved 2016-07-19. ^ "Fed Cup final 2011: the Czech Republic beat Russia in Moscow". BBC. 6 November 2011. ^ "Heather Watson thrashes Lucie Safarova at Miami Masters". BBC. 23 March 2012. ^ "Fed Cup: Czech Republic beat Serbia to retain title in Prague". BBC. 4 November 2012. ^ Steve Tignor (17 January 2014). "Australian Open: Li d. Safarova". Tennis.com. ^ Mick Cleary (3 July 2014). "Wimbledon 2014: Petra Kvitova storms past Lucie Safarova to book a spot in the women's singles final". The Telegraph. ^ Peter Bodo (3 July 2014). 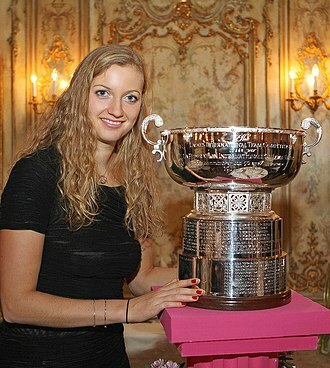 "Wimbledon: Kvitova d. Safarova". Tennis.com. ^ "Fed Cup final: Czech Republic beat Germany 3-0". BBC. 9 November 2014. ^ "Stosur tops Safarova in three sets in Sydney; Radwanska, Cibulkova advance". Tennis.com. 12 January 2015. ^ Simon Cambers (6 June 2015). "French Open: Serena Williams beats Lucie Šafářová to win 20th grand slam". The Guardian. ^ Matt Cronin (8 June 2015). "Safarova, Mattek-Sands have shot at Slam, taking it 'one match at a time'". Tennis.com. ^ "lucie safarova on Twitter". Twitter. Retrieved 2016-04-16. ^ "Lucie Safarova to bypass Australian Open due to health problems". Sky Sports. Retrieved 2016-04-16. ^ "10 Things: Doha & Acapulco". Women's Tennis Association. Retrieved 2016-04-16. 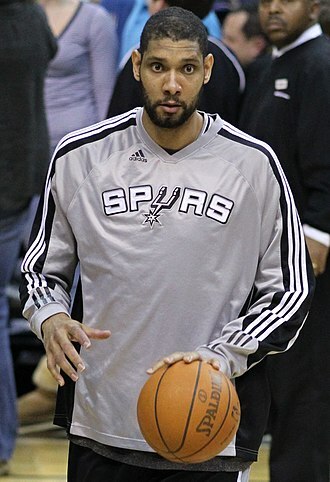 ^ "Insider Doubles Take: Miami Heat". Women's Tennis Association. Retrieved 2016-04-16. ^ "Mattek-Sands, Safarova Move On In Miami". Women's Tennis Association. Retrieved 2016-04-16. ^ "Mattek-Sands & Safarova Master Miami". Women's Tennis Association. Retrieved 2016-04-16. 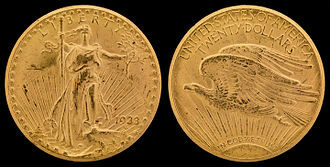 ^ "Stephens Strikes Gold In Charleston". Women's Tennis Association. Retrieved 2016-04-16. ^ "Safarova Sails Into Hobart Second Round". 9 January 2017. Retrieved 29 January 2017. ^ "Bertens Eases Into Hobart Quarterfinals, Ozaki Upsets Safarova". 27 January 2017. Retrieved 29 January 2017. ^ "Safarova Digs Deep, Serena's MLK Tribute, Naomi's Weird World". 17 January 2017. Retrieved 29 January 2017. ^ "Serena Too Strong For Safarova, Sets Up All-American Third-Round Showdown". 19 January 2017. Retrieved 29 January 2017. ^ "Mattek-Sands & Safarova Surge To Second Straight Slam In Oz". 27 January 2017. Retrieved 29 January 2017. ^ "Czechs make Fed Cup semifinals with 3-2 win over Spain". 12 February 2017. Retrieved 14 June 2017. ^ "Babos Brings Home Budapest Title, Survives Safarova In Final Thriller". 26 February 2017. Retrieved 16 June 2017. ^ "Top Seeds Babos & Safarova To Clash In Budapest Final". 25 February 2017. Retrieved 16 June 2017. ^ "Vandeweghe advances past Safarova into US Open QF". 4 September 2017. Retrieved 4 September 2017. ^ "Kerber comeback extends winning streak in Sydney". 8 January 2018. Retrieved 10 January 2018. ^ "Veselý v Aucklandu dohrál ve čtvrtfinále, Strýcová končí v Sydney" (in Czech). 11 January 2018. Retrieved 13 January 2018. ^ "Pliskova edges Safarova in all-Czech duel to reach round 4". 20 January 2018. Retrieved 20 January 2018. ^ "Kvitová v Montrealu postoupila, Šafářová a Krejčíková skončily" (in Czech). 8 August 2018. Retrieved 8 August 2018. ^ "Plíšková bez energie a servisu vypadla. 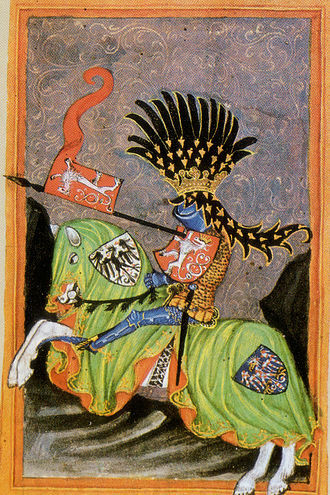 V Montrealu dohrála i Kerberová" (in Czech). 9 August 2018. Retrieved 9 August 2018. ^ Blair Henley (13 January 2014). "Lucie Safarova on Relationships, Fame and the Next Level". TennisNow. Wikimedia Commons has media related to Lucie Šafářová. 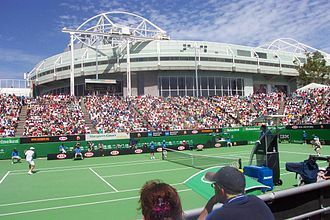 The 2015 Australian Open was a tennis tournament that took place at Melbourne Park from 19 January to 1 February 2015. It was the 103rd edition of the Australian Open, and the first Grand Slam tournament of the year, stan Wawrinka was the defending champion in mens singles but lost to four-time Australian Open champion Novak Djokovic in the semi-finals. 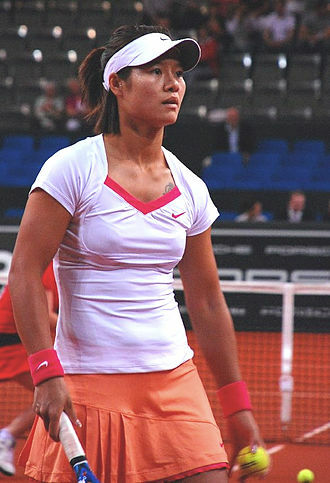 Reigning womens champion Li Na did not defend her title, as she retired from tennis in September,2014. Novak Djokovic won an Open Era record fifth mens singles crown by defeating Andy Murray in the final, and this was the third time they met each other in the final. Serena Williams won an Open Era record six womens singles championships by defeating Maria Sharapova in the final, simone Bolelli and Fabio Fognini teamed up to win the mens doubles title for the first time over the team of Pierre-Hugues Herbert and Nicolas Mahut. Bethanie Mattek-Sands and Lucie Šafářová teamed up to win the doubles crown for the first time over the team of Chan Yung-jan.
Martina Hingis and Leander Paes teamed up to win the doubles title, it was the second for Hingis and third for Paes, over the defending champions Kristina Mladenovic. 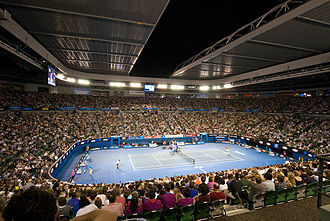 The 2015 Australian Open was the 103rd edition of the tournament and was held at Melbourne Park in Melbourne, the tournament was run by the International Tennis Federation and was part of the 2015 ATP World Tour and the 2015 WTA Tour calendars under the Grand Slam category. The tournament consisted of mens and womens singles and doubles draws as well as a mixed doubles event. Partly due to the new roof, the 2015 event set an attendance record of 703,899 fans. The cooler than normal temperatures may have played a role, the tournament was broadcast in more than 200 countries around the world. In Australia, all matches were broadcast live by the Seven Network on the primary channel under the banner Seven Sport. In 2015, live coverage emanated from all sixteen courts, qualifying tournaments, draw ceremony and Kids Day were shown on official tournament website, AusOpen. com. Fed Cup is the premier international team competition in womens tennis, launched in 1963 to celebrate the 50th Anniversary of the International Tennis Federation. The competition was known as the Federation Cup until 1995, the Fed Cup is the worlds largest annual womens international team sports competition, in terms of the number of nations that compete. The mens equivalent of the Fed Cup is the Davis Cup, Czech Republic and the United States are the only countries that have held both the Fed Cup and Davis Cup at the same time. Dating back to 1919, Hazel Hotchkiss Wightman came up with the idea for a team tennis competition. Although rejected, she went ahead and presented a trophy at the 1923 annual contest between the United States and Great Britain, named the Wightman Cup, nell Hopman, wife of the legendary Australian Davis Cup Captain Harry Hopman, took up Mrs. Wightmans original idea. 40 years after Wightmans idea of a womens Davis Cup, it become a reality, in 1963, the ITF launched the Federation Cup to celebrate its 35th anniversary. Open to all nations the competition became a resounding success, the inaugural event attracted 16 countries. 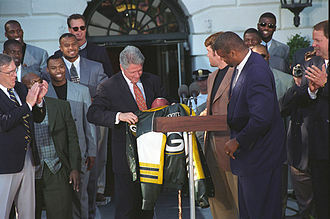 The competition was supported by the top players right from the start, held at the Queens Club, in London, the first contest was between Australia and the United States. Grand Slam champions Darlene Hard, Billie Jean King, Margaret Smith, the United States would emerged the champion nation in the opening year, however it was to be Australia in the early years, winning seven of the next eleven championships. Around 1980 the United States was able to some significant mark on the competition setting in future years a very high standard for others to compete against. The first Federation Cup had attracted 16 entry teams, despite no prize money, when sponsorship became available, the number of teams expanded dramatically, first by the Colgate Group in 1976, from 1981 to 1994 by the Japanese communications and computer giant NEC. 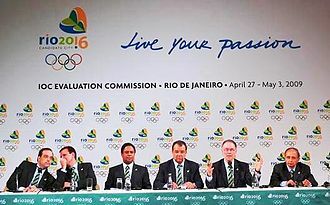 The additional costs of each event could be offset with the host nations viewing their involvement as providing an opportunity to boost their national game. Monte Carlo /ˈmɒnti ˈkɑːrloʊ/ officially refers to an administrative area of the Principality of Monaco, specifically the ward of Monte Carlo/Spélugues, where the Monte Carlo Casino is located. The permanent population of the ward of Monte Carlo is about 3,500, from west to east they are, Monaco-Ville, La Condamine, and Monte Carlo. Monte Carlo is situated on a prominent escarpment at the base of the Maritime Alps along the French Riviera and it is the location of the Hôtel de Paris, the Café de Paris, and the Salle Garnier. The eastern part of the quarter includes the community of Larvotto with Monacos only public beach, as well as its new center. 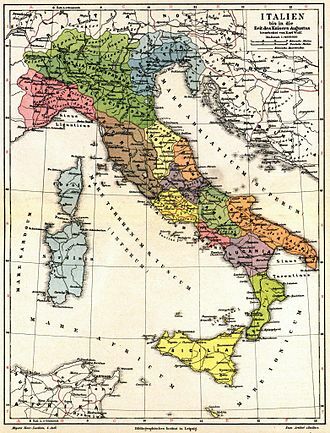 At the quarters eastern border, one crosses into the French town of Beausoleil, at the time, a number of small towns in Europe were growing prosperous from the establishment of casinos, notably in German towns such as Baden-Baden and Homburg. 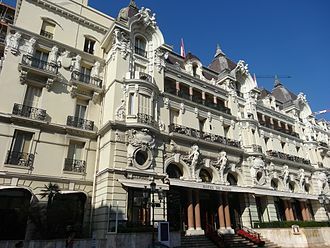 The success of the casino grew slowly, largely due to the areas inaccessibility from much of Europe, the installation of the railway in 1868, brought with it an influx of people into Monte Carlo and saw it grow in wealth. Saint-Charles Church on Monte Carlos Avenue Sainte-Charles was completed in 1883 and it was restored in its centenary year. 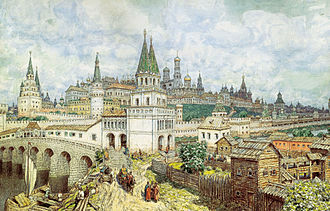 The municipalities were merged into one in 1917, after accusations that the government was acting according to the divide and conquer. Today, Monaco is divided into 10 wards, with an eleventh ward planned to land reclaimed from the sea. The quarter of Monte Carlo was served by tramways from 1900 to 1953, in 2003 a new cruise ship pier was completed in the harbour at Monte Carlo. Monte Carlo is host to most of the Circuit de Monaco and it hosts world championship boxing bouts, the European Poker Tour Grand Final and the World Backgammon Championship as well as the Monaco International Auto Show, fashion shows and other events. Although the Monte Carlo Masters tennis tournament is billed as taking place in the community, Monte Carlo has been visited by royalty as well as the general public and movie stars for decades. The rally, takes place outside the Monte Carlo quarter and is run mostly on French roads, the Opéra de Monte-Carlo or Salle Garnier was built to designs of the architect Charles Garnier, who designed the Paris opera house now known as the Palais Garnier. The 2015 French Open was a tennis tournament played on outdoor clay courts. It was the 114th edition of the French Open and the second Grand Slam event of the year and it took place at the Stade Roland Garros from 24 May to 7 June and consisted of events for professional players in singles and mixed doubles play. Junior and wheelchair players part in singles and doubles events. Rafael Nadal was the defending champion in the Mens Singles. Stan Wawrinka won his first French Open title, defeating Djokovic in the final, maria Sharapova was defending the Womens Singles title, but lost to Lucie Šafářová in the fourth round. Serena Williams defeated Šafářová in the final and won her third French Open title, 20th Grand Slam Singles title, the 2015 French Open was the 114th edition of the French Open and was held at Stade Roland Garros in Paris. The tournament is an event run by the International Tennis Federation and is part of the 2015 ATP World Tour, the tournament consists of both mens and womens singles and doubles draws as well as a mixed doubles event. The tournament was played on courts and took place over a series of 22 courts. Below is a series of tables for each of the showing the ranking points on offer for each event. The total prize money for the tournament was €28,028,600, the winners of the mens and womens singles title receive €1,800,000, an increase of 9% compared to 2014. * per team 2015 French Open – Mens Singles 2015 French Open – Womens Singles The following are the seeded players, seedings are based on ATP and WTA rankings as of 18 May 2015. Rank and points before are as of 25 May 2015,1 Rankings were as of 18 May 2015. The following players were given wildcards to the main draw based on internal selection, Novak Djokovic, 4–6, 6–4, 6–3, 6–4 It was Wawrinkas 2nd Grand Slam singles title, 10th career singles title and his 1st at the French Open. Stan Wawrinka and Novak Djokovic got off to a start at 3–3 in the first set. In the second set, Wawrinkas form improved, and he eventually broke Djokovic on his fifth opportunity, although Wawrinka earned three break points on Djokovics first service game in the third set, at 1–0, Djokovic saved them all and held serve. Li Na is a retired Chinese professional tennis player, who achieved a career-high ranking of world No.2 on the WTA Tour on 17 February 2014. Over the course of her career, Li won nine WTA singles titles, Lis rise to prominence came after those victories, which made her the first and only Grand Slam singles champion from East Asia and Asia as a whole. Prior to this, she had become the first player representing an East Asian and Asian country to appear in a Grand Slam singles final. 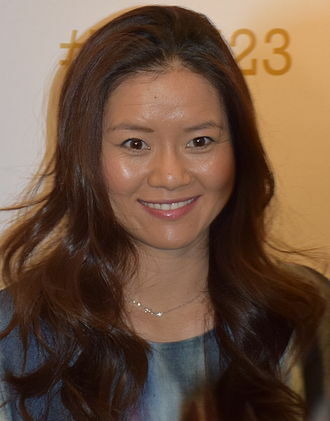 Li was the runner-up at the 2013 Australian Open and 2013 WTA Tour Championships, a three-time quarterfinalist at Wimbledon and her feats have sparked a major population growth of tennis players in East Asia, earning her the reputation as the regions tennis pioneer and trailblazer. Li retired from tennis on 19 September 2014. Li Na was born on 26 February 1982 in Wuhan and her mother is Li Yanping, her father, Li Shengpeng, was a professional badminton player and worked as a sales rep for an Wuhan-based company. He died from a cardiovascular disease when Li was fourteen. Her mother didnt tell Li Na that her father had died for many weeks, at age six, Li followed her fathers footsteps and started playing badminton, which honed her reflexes. Just before she turned eight, Li was persuaded to switch to tennis by coach Xia Xiyao of the Wuhan youth tennis club and her instructors taught tennis through negative reinforcement, which affected Lis confidence in years. Li joined Chinas National Tennis Team in 1997, the following year, Li, sponsored by Nike, went to John Newcombe Academy in Texas to study tennis. She studied there for 10 months and returned to China, growing up, her favourite tennis player was Andre Agassi. She turned professional in 1999 at the age of sixteen, at the end of 2002, Li left the national tennis team to study part-time at Huazhong University of Science and Technology, where she completed her bachelors degree in journalism in 2009. The Chinese media cited various reasons for this, some regarded that it was just the health problem leading to the retirement. The West Side Tennis Club is a private tennis club located in Forest Hills, a neighborhood in the New York City borough of Queens. The Club has 38 tennis courts in all four surfaces, a junior Olympic-size swimming pool and it is the home of the Forest Hills Stadium, a 14,000 seat outdoor tennis stadium and concert venue. It is most notable for hosting the U. S. National Championships, renamed the US Open Tennis Championships in 1968, a total of 60 times, first from 1915 to 1920, and again from 1924 to 1977. 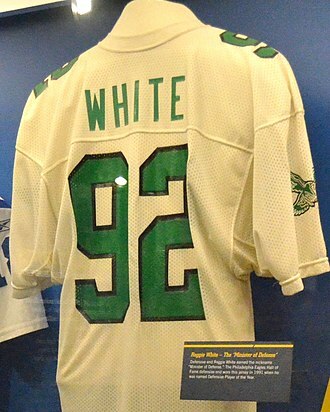 In addition, the finals of the Davis Cup were held at the club 10 times, the US Pro tournament was held at the venue 11 times, and another big professional tournament, the Tournament of Champions, was held at the venue 3 times. The West Side Tennis Club was the venue of the Forest Hills Tennis Classic, a now-defunct WTA Tour Tier IV event, the stadium is used as an outdoor concert venue. The club was founded in 1892 when 13 original members rented land on Central Park West for three clay courts and a small clubhouse, ten years later, the land had become too valuable, and the club moved to a site near Columbia University with room for eight courts. In 1908, the club moved again to a property at 238th Street, the new site covered two city blocks and had 12 grass courts and 15 clay courts. 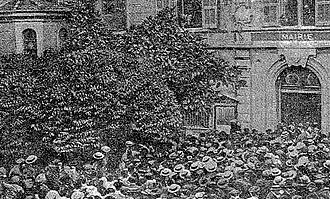 The club hosted the International Lawn Tennis Challenge in 1911, with crowds in the thousands, the club leadership realized that it would need to expand to a more permanent location. 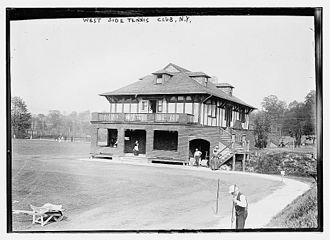 In 1912, a site in Forest Hills, was purchased, the signature Tudor-style clubhouse was built the next year. In 1915, the United States Lawn Tennis Association National Championship, renamed the U. S. Open, by 1923, the success of the event necessitated the construction of a 14, 000-seat horseshoe-shaped stadium that still stands today. The stadiums first event was the final of the International Lawn Tennis Challenge, althea Gibson became the first black player to play in a Grand Slam event in 1950, and Billie Jean King was the first player to win a Grand Slam event with a metal racket in 1967. In 1968, the year of the first televised broadcast of the US Open, in 1975, the tournament was switched to Har-Tru clay courts. 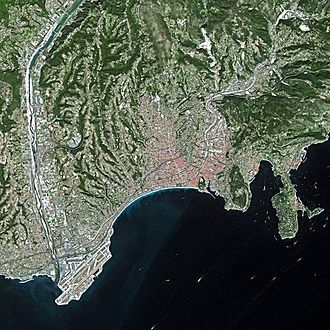 Charles&nbsp;III of Monaco was responsible for turning the Monte Carlo district and Monaco into a thriving town. Singapore Indoor Stadium hosted the WTA Finals for the first time in 2014. Serena Williams won three Grand Slam titles in 2015. Simona Halep won the biggest title of her career at Indian Wells. Maria Sharapova reached the final of the Australian Open. Court Philippe Chatrier at Stade Roland Garros in Paris during the 2006 French Open. Justine Henin and Monica Seles have won the highest number of titles on clay during the Open era. 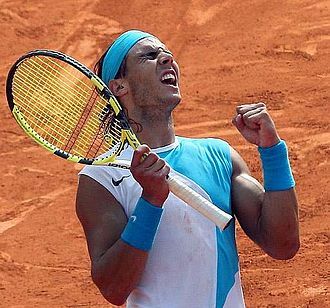 Rafael Nadal is known as "The King of Clay." Poster for 1964 concerts at Forest Hills Tennis Stadium, headlining Barbra Streisand, Count Basie, Woody Allen, Johnny Mathis, Harry Belafonte, Peter Nero and The Beatles. Serena Williams won her 22nd Grand Slam title at Wimbledon. Simona Halep qualifies for the third straight year. Agnieszka Radwańska became just the fourth active player to have won three or more Premier Mandatory titles.